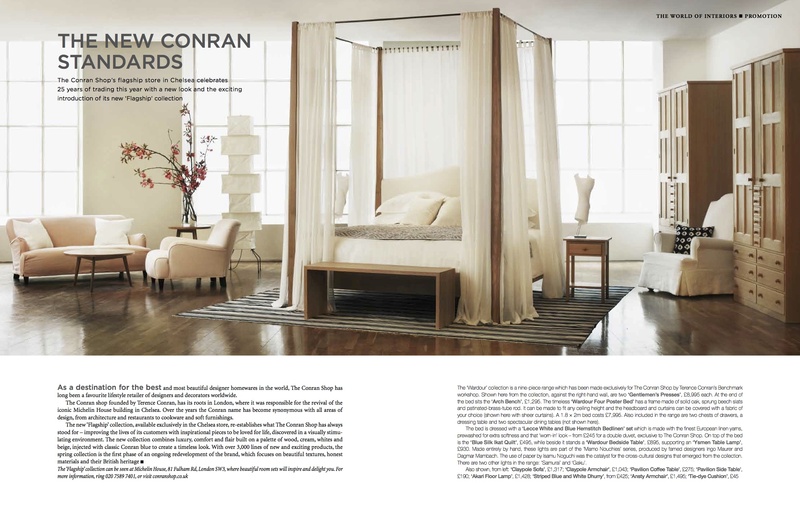 If you picked up a copy of World of Interiors this month, you may have spied this, a double-page spread celebrating The Conran Shop’s 25th year of trading, and showing off the stunning new Flagship collection. As a destination for the best and most beautiful designer homewares in the world, The Conran Shop has long been a favourite lifestyle retailer of designers and decorators worldwide. 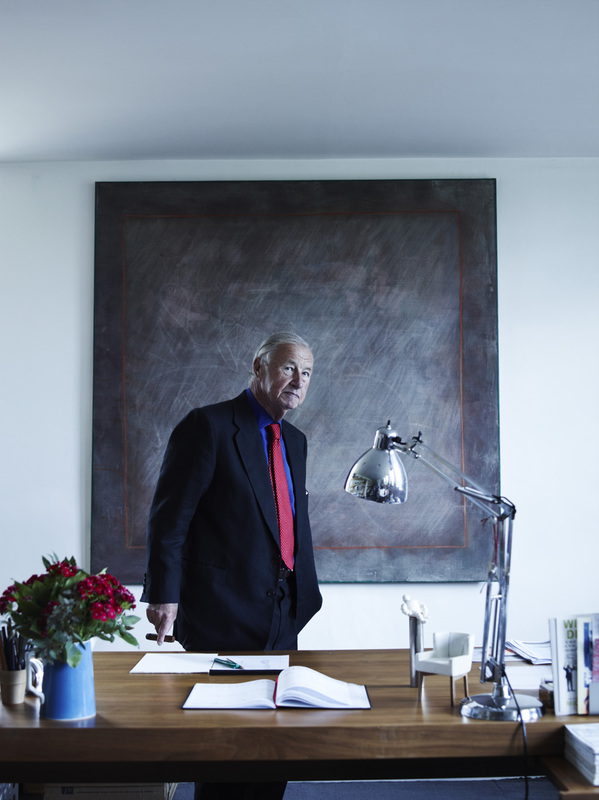 The Conran shop founded by Terence Conran, has its roots in London, where it was responsible for the revival of the iconic Michelin House building in Chelsea. Over the years the Conran name has become synonymous with all areas of design, from architecture and restaurants to cookware and soft furnishings. The new ‘Flagship’ collection, available exclusively in the Chelsea store, re-establishes what The Conran Shop has always stood for – improving the lives of its customers with inspirational pieces to be loved for life, discovered in a visually stimu- lating environment. The new collection combines luxury, comfort and flair built on a palette of wood, cream, whites and beige, injected with classic Conran blue to create a timeless look. With over 3,000 lines of new and exciting products, the spring collection is the first phase of an ongoing redevelopment of the brand, which focuses on beautiful textures, honest materials and their British heritage. You can see more of the Flagship collection at The Conran Shop Chelsea.